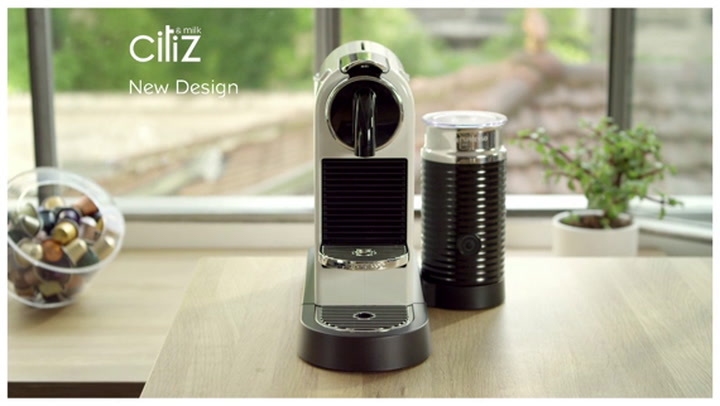 Designed to be a fusion of the latest technology and retro-modern design, the CitiZ with Aeroccino will bring you café quality coffee straight to the comfort of your own home. Updated design and features from the older model of the popular CitiZ will make this the perfect addition to your modern home. NOTE: These machines are designed for domestic use to make between 8 -12 cups of coffee per day and not for high volumes in a commercial or office setting. We've always preferred good coffee, but now it is also convenient. It is stylish and the Aeroccino makes the creamiest and thickest froth ever. A superb little machine! It's good mixture of the other options available and the milk frother makes it that much better. As a present to my husband his only comment was, "What is good enough for George Clooney is good enough for me." He is enjoying his machine and his 'special coffee'. This is a very good product with added value from the Aeroccino milk frother. Making a great cup of coffee doesn't get easier. Would recommend for household use - 2 to 3 cups a day.